I have about 20-odd investments, 15 of which are small investments. There are only five or six which have significant investments. If they do well, I will end up making moner, says SRI Capital's Sashi Reddi. SRI Capital founder Sashi Reddi. Q. How is your investment strategy changing? A. Earlier, I was investing very small stakes in companies, but more recently I have started taking significant stakes in companies. There are about six companies where I have significant stakes in, and I am also on the board and playing an active role. There are six companies where I am working closely with the founders. I am actually spending a few hours a week with them. This is my new model of doing investments. These are companies like YuppTV, wherein I have put in $2.5 million as equity and $1 million of debt. With YuppTV, I am actually spending about one day a week because the company is growing very fast and needs lot of discussions on recruitment, fund-raising, etc. In other companies, I am a small passive investor, wherein my investment size is $500,000 to $1 million, or Rs 3 crore to Rs 6 crore. Q. Tell us more about your investment strategies. A. I have about 20-odd investments, 15 of which are small investments. There are only five or six which have significant investments. If they do well, I will end up making money. Earlier, I was new to investments, so I was doing small investments across a bunch of companies. But as I started getting experience, I figured out that, you know what, these small investments will never make me any money because even if these companies do well and raise more money, my stake would get further and further diluted. I have figured out that the way to be successful as an investor is to make fewer bets, and in the companies that are doing well, make sure that you invest in the next round and the next round, so that you can make your stake meaningful. Most of the six companies where I have significant investments in, I make sure I invest in further rounds and maintain my five to 10 per cent stake. Then you will be able to make returns. What happens is that angels, as they invest, they start with one per cent, then it becomes 0.2 per cent and then, say the company is a big hit, they make no money. If you invested Rs 10 lakh and you are getting back Rs 20 lakh to Rs 30 lakh, that is not going to change anything. I put in $2.5 million in YuppTV, so when the company gets acquired, I could be getting back $15 million to $20 million. That is meaningful money. I am on the phone every week with the founder. They want to meet somebody or they want feedback or they are recruiting someone. I am on the board of six companies which is there on my LinkedIn profile. Besides YuppTV, I am also on GIBSS, Edutor, ShepHertz, which I co-invested in with Kae Capital and Blume Ventures, etc. These all are companies where I am the first investor. Q. SRI Capital is your own money. So it is angel investment, technically… right? A. Yes, technically it is all angel investment. It's only that organising my investments from a fund makes it easy for me on the compliance part for the India folks. This is not a venture fund. Q. Why does it make sense for you to set up a fund? A. Because first, I need to prove myself. I have shown that I can be a successful entrepreneur, but I have not shown that I can be a successful investor. With some of my companies like GIBSS and YuppTV doing very well, I can prove myself as an investor with my own money and help build my reputation as a savvy investor. Then, I can easily raise money. I prefer to first prove myself as an investor with my own money and then I can go on to raise funds for more investments. People who run funds have lot of status, they are in the news, but how much money do they actually make, as opposed to me, who is investing my own money in some companies? If two or three of my investments do very well and I have significant stake in the company, I would end up making much more money than I would make as a professional manager of money. So, there is no big rush for me to go on and raise a fund. With a fund, you have a small stake (in it), you get your fee and all that, but the outcome will not be that great. Say if YuppTV does well, the returns will come to me personally as opposed to a fund where I will get a small percentage because I am investing someone else's money. It's not quite the same economics. Lot of people who become professional investors are, like in a job, they get a salary, a good fee, if the fund does well, they see more money. But... very few funds are actually able to see success in India. Q. Often, angels are egged out when bigger investors come into the company. A. It also depends on the angel. Say when Edutor raised the next round of funding, the investors and the founders insisted that I stay on. They wanted inputs on product strategy for the Indian market. More importantly, they had ambitions of breaking into the US market and I have a very good network here [in the US]. I helped them formulate their US strategy and finding the right persons to recruit, getting business leads. When there is no clear value add from the existing angel, the new investor will like to buy them out, so that they have smaller shareholders to deal with. For them also it's a headache to have 40, 50 small shareholders to deal with. Q. Have you actually made any money so far? A. No, it's early actually. I think I am learning. I got active around 2012. In the next two years, I would know where I am heading. Q. How do you define successes and failures? A. I have had a couple of companies that have failed almost immediately. One is Shopo that sold handicrafts online that I had invested in along with Sequoia India and one other angel investor. It got acquired by Snapdeal. We decided not to invest further. It was not a successful exit for us. The other one was a very small investment... that didn't event matter much... about Rs 20 lakh of investment… one of my earliest investments. So, those are good. You know quickly that they are gone and I had to write off. And then there are companies that get a lot of interest for the next round of capital from investors, so you know these are going to do okay. There is a layer in between that you are uncertain about. Two- to three-year period is too short to put them in these three groups. There are two companies in my portfolio in the series A stage. YuppTV is an amazingly hot company. It is growing at about 80 per cent per year for the last two years. Edutor is also decent. Hello Curry also looks promising. I expect five or six of my companies to do extremely well. Q. Of the Rs 100 crore, how much has been invested? A. I have invested about Rs 70 crore. My entire model has changed to fewer and bigger investments. My most recent investments are Rs 3 crore-plus, while earlier I used to invest about Rs 20 lakh or so. This year , if at least three companies of mine get to series A, I will be very happy. That means things are going fine. Maintaining a decent stake in further rounds and being operationally involved are critical to my strategy now. So that if things go wrong, I would know what went wrong. Just write a cheque and then know six months later that the company is not doing well is not the real strategy. Q. Which of your investments are doing well? A. I expect five or six of my companies to do extremely well. 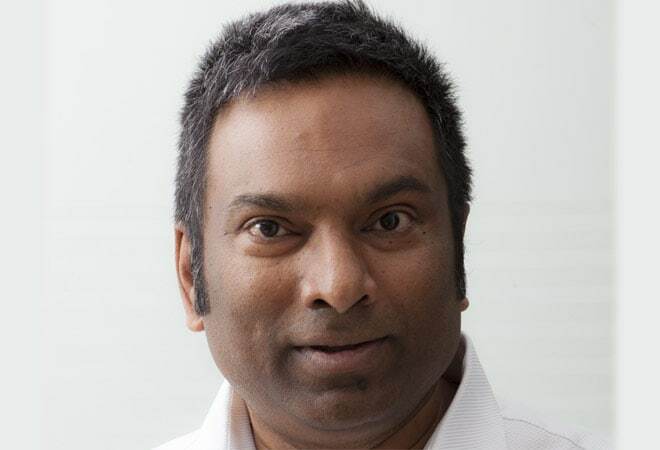 One is Uday Reddy-founded YuppTV, which I invested in last February. The company has backend operations in Hyderabad. It provides Indian content for Internet TV across the world. It has rights to over 200 channels to serve their content across Internet television. In 2013, it achieved $10 million in revenue. Last year, it almost doubled from 2013. The biggest markets for it include the UK, the US and Australia, where people want access to content. I first met him (Uday Reddy) at the end of 2013, I really loved the idea, and put in $2.5 million. He built his company to that size without taking any outside money. Q. Investment in start-ups… is it a serious asset towards making money or something else? A. When I started off, I saw entrepreneurs, I wanted to help them out and I would write small cheques of Rs 20 lakh to Rs 30 lakh. But now what I am doing is very serious with the intention of making money, using the fact that I have a great network, I have a lot of experience in different areas. So, personally it has been a huge shift for me. I have started four companies and I was thinking of starting another company. But then I realised, in the technology business, once you are my age (49), it's going to be hard for me to understand some of the core stuff. So, to start something entirely on my own from scratch is not a good idea. I am hoping to bet on youngsters who have some cool ideas. What I am going to do now is once I come across a cool idea, I will offer money and say I want to join the company, to help to build the company. That's the opportunity I am totally excited about. Q. Much of the investments are inspired because you want to stay in touch with new technology. A. Yes, definitely. If all my source of news was analysts reports or newspapers, it would have been tough to know what's going on. When you deal directly with start-ups, it's much more exciting. I meet about seven, eight companies a week. You hear some new thinking like a business model, or a new discovery on cancer research. You learn a lot and that helps finetune you to what are the major trends. The kind of tech that is coming out from India is quite amazing. I came across a company in Hyderabad about three weeks back which was building a device that could be attached to a truck and give out details on the behaviour of the driver, fuel consumption, frequency of stoppage, all automatically being transferred to a central place. This would be unthinkable in my age. There are so many things happening in the Internet of Things space. From factory automation and analytics to everything. I am an investor in Glassbeam that started out of Bangalore with a small team that sits in the Bay Area. It can read logs of any type of machine and have build applications to read the analytics. Now it work with the biggest technology companies in the world like IBM, Hitachi. Q. Where is India's angel ecosystem compared to the US? A. There is a difference in motivation… Because of the quantum of money made by entrepreneurs there [in the US], they are writing such large cheques that are doing away with smaller VCs. So, there they get all the quality deals. It's only the big brands like Sequoia Capital that manage to get Series A deals. The angels I know, like Peter Thiel, would write small cheques to 80 to 100 or fewer start-ups. Start-ups are thrilled because of the branding and networks that come through him [Thiel]. Here in India, the angel guys usually write cheques of half a million or more. I wrote $2.5 million to YuppTV, which would not be usual for angel investment in India. Therefore, in India, early stage funds have much more prominence and they are required to facilitate Series A rounds. In India, angels are becoming investors in early stage funds. I am also an LP in Kae Capital, Omnivore, Angel Prime and Blume Ventures.